The best game recorder for you to capture and edit popular gameplay. Fillmora Scrn is a screen recording software that is very easy to master, but while recording your screen you can unintentionally record private information that you don't want to share with the rest of the world. Wondershare's screen recorder is equipped with tools that will enable you to blur and conceal every bit of info you don't want others to see. In this article, we will take you through all the steps you need to take in order to hide private and sensitive info from the videos you captured using Filmora Scrn. If you are wondering why you should choose Filmora Scrn to protect your private and sensitive information, below are the answers. Part 1: Why Choose Filmora Scrn to Blur and Hide Private Information in a Video You Recorded? 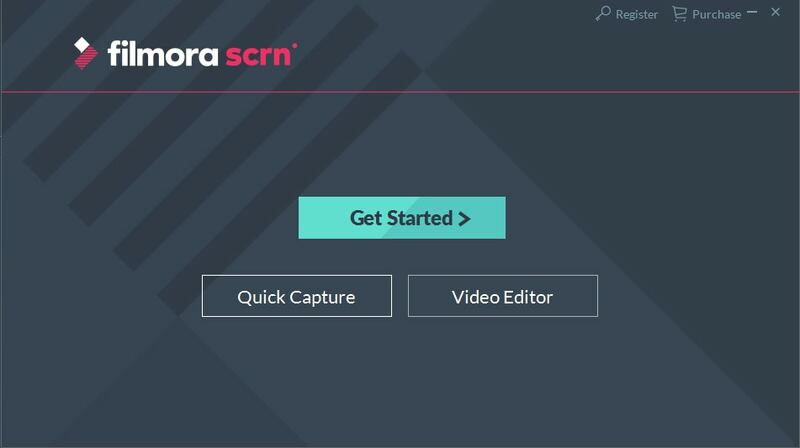 Besides being one of the best screen capturing computer programs for beginners in the industry, Wondershare's Filmora Scrn also features a video editor that allows you to polish your videos immediately after the recording session without using third-party apps. Filmora Scrn is a perfectly equipped for recording all types of PIP videos that need to capture desktop activities, while also recording the footage from a webcam. YouTubers and all other users of this software can feature themselves in the video. 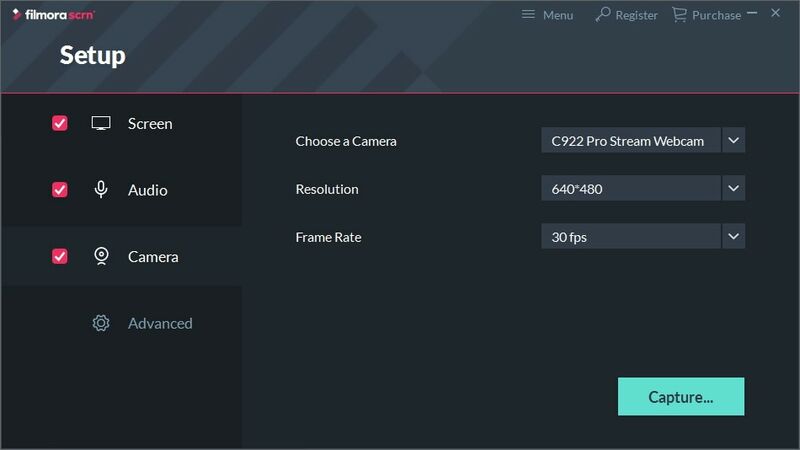 Filmora Scrn lets you capture videos which have frame rates that go from 15 fps to 120 fps, and it also enables users to adjust the size of the screen area they want to capture. Recording voice-over during the recording session, adding markers or using HotKeys to start or pause recording sessions are just a few among many amazing features Filmora Scrn offers. All files captured with the screen recorder are displayed in the software's video editor that allows you to trim or cut video clips, add captions or use blending modes to merge the layers in your videos seamlessly. 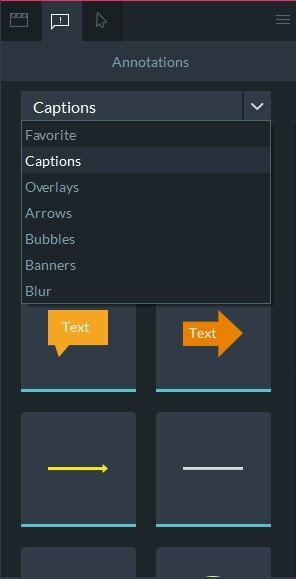 The Annotations tab lets you add captions, overlays, speech bubbles and most importantly blur effects. The Mosaic, Linear, Vertical, Horizontal, Horizontal Mix and Vertical Mix blur options are available to users who would like to protect sensitive info in their screen recordings. Let's have a look at how you can protect the privacy of the information in your screen recordings by blurring them in Filmora Scrn. There are two extraordinary blur effects we must mention here, one is called Horizontal Mix, and the other is Vertical Mix. Words cannot express how amazing it is; let me just show you some examples. The original frame is shown as below, and I want to blur and hide these two sensitive pictures (in red mark). See, these two “private” pictures are hidden as if there were nothing here. Do not believe the miracles? Why not follow the steps below to check it by yourself? Hiding the identity of the people in your videos and concealing private information like bank account or telephone numbers is advised if you want to avoid any chance of misuse of these data. If you choose to capture a screen with the Filmora Scrn's screen recorder, the video file you create will be automatically imported into the software's video editor and placed into the Media Bin, after the recording session is over. 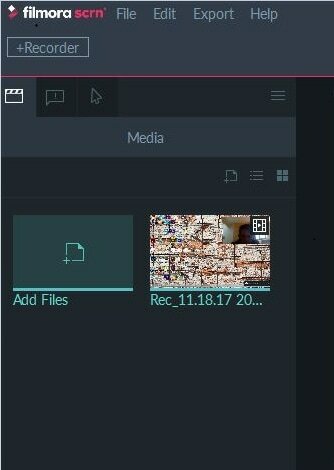 If you would like to add blur effects to videos that weren't captured with Filmora Scrn simply click on the Add Files icon in the editor's Media Bin, find the video file you'd like to work on and click Open. Filmora Scrn's video editor supports most video file formats including AVI, MP4 or MOV files. The file you imported will be displayed in the Media Bin, so in order to start editing it, simply drag and drop it to the timeline. After you've placed a video clip on the timeline, you should click on the Annotations icon that is located next to the Media icon on the left side of the screen. Select the Blur option from the drop-down menu and proceed to select the blur effect you'd like to add to your video. Drag the effect you like the most to the timeline or drag it to the Canvas directly, and adjust its duration by dragging the effect's end to the right. On the right side of the editor's screen, you'll be able to see Transform and Blur options. Use the Transform feature to place the blur effect over the area of the shot in which the sensitive info is located in order to hide it from the spectators. Alternatively, you can move or resize the blur window by dragging it on the software's preview screen. 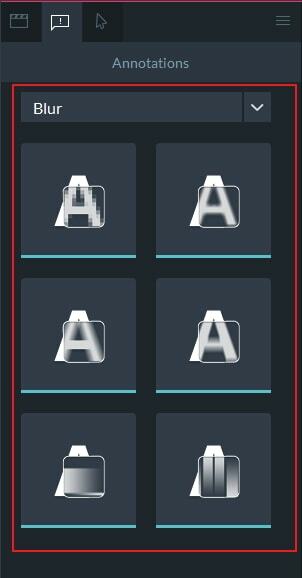 Next to the Transform icon, you'll be able to see the Annotations icon, click on it and proceed to adjust the blur Intensity and Opacity features. You should repeat this process as many times as necessary until all the sensitive information in your video clip is blurred. Finally, you can go ahead and click on the Export button if you're happy with the results you achieved. Filmora Scrn lets you export your video files directly to YouTube, Vimeo or Twitch, while you can also save your video clip to your hard-drive in MP4, MOV, GIF or MP3 file formats. Ok, that’s it. Hope you have hidden and blurred the private info in your recorded video successfully. Leave a comment below and let us know if it works for you perfectly.